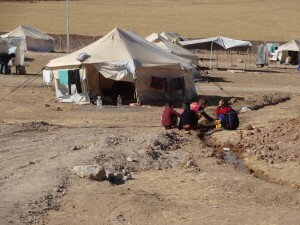 Australia’s Catholic bishops have expressed grave concern at the humanitarian crisis that is continuing to worsen in northern Iraq. The Australian bishops condemn outright the use of terrorism in the name of religion. Tens of thousands of Christians have been forced to flee Mosul, Qaraqosh and other areas of Northern Iraq, with demands by Islamic State fighters that they convert to Islam or die. The Yazidis, other Muslim, religious and ethnic minorities in Iraq, have also been forced to flee from forces of the Islamic State of Iraq and Syria (ISIS). Evil is a word often overused, but in recent weeks we have seen and heard reports of actions that are truly evil. ISIS is beheading and crucifying people and driving communities from their homelands. The Iraqi government has proven incapable of defending its own citizens from these brutal attacks. When faced with such horror, our hearts go out to those people who are being persecuted and who are suffering because of their beliefs. We stand with our fellow Catholics from the Middle East in Australia in protesting these outrages and in calling on the international community to secure the safety of the people of Northern Iraq from religious cleansing. We support and thank the Australian Government for its decision to offer humanitarian relief to the tens of thousands of displaced people. Australia has an important role to play as a member of the United Nations Security Council in securing the future of the people of Iraq. In solidarity we remember the Iraqi people suffering right now as well as those who have already died for their faith. We ask that Catholic parishioners throughout Australia pray for the Iraqi people this weekend, giving thanks for their great faith and asking God to protect and watch over them. The best outcome for the Christians and Yazidis of Iraq is peace and security, so they can return to their homes. But if this is not possible, the Australian Government should agree to offer a safe haven to many of these displaced people so they can try to rebuild their shattered lives. This entry was posted in Uncategorized on August 27, 2014 by Mark Wei.